Someone asked this in a Q&A session – “Swami why is it that you are seen only to a select few and not others”. He replied- “For 85 years I undertook the task of teaching you all the simple rules of life, some followed but a large majority forgot the message and got stuck to the form. Now I have the supreme task of making sure that each one of you follow my message. If each one of you start following my message then I will manifest in front of you”. My mission is not just education. Mission is transformation. The students and teachers should remember that we have to learn here not only Apara Vidya – material education, but also Para Vidya – spiritual education, which grants Self Realisation. When someone asked ” Which mantra will help us calm our minds and get closer to God?”. Swami replied ” This is not Dr Pillay’s clinic, where I can give you a tablet for you to swallow and make you healthy! I have never given mantras and will never do so. Seva (service) and Prema (love) are like the two wings of a bird, which can help it to fly high. Similarly, these two can help you spiritually by purifying and calming your mind and take you closer to God. “WHEN Sri Krishna declared in the Gita that the Lord descends as Avatar to punish the wicked and protect the good, it does not mean that the Avatars purpose is to destroy evil-doers. Evil refers to bad thoughts. These thoughts are in everyone. It is these that have to be destroyed. Dharma is Divinity Itself. The Vedas seek to promote good thoughts; eliminate ideas of evil, and help mankind to lead the good life. Hence they have to be cherished and fostered. If the injunctions given in the Vedas and Sastras are followed by mankind, they will be freed from affliction. Most of our troubles have arisen because we have forgotten the Vedas. The earth has always had the power of attraction. But the scientist Newton carried out experiments and discovered the earth’s gravitational pull. The earth had the power of attraction before Newton’s discovery. Likewise, the Vedic sages had carried out spiritual explorations on the basis of the Vedas. Because their findings were made known in Bharat, it cannot be said that the Vedas are not to be found anywhere else. The Vedas encompass the whole world and are immanent everywhere. Bharatiyas cannot deny the truth about gravitation merely because a foreigner like Newton discovered it. Similarly others outside India cannot deny the validity of the Vedas because the Bharatiyas discovered their truth. As a matter of fact, many in other countries revere the Vedas. Max Mueller made a thorough study of the origin and content of the Vedas and wrote tomes about them. He studied the Vedas diligently to understand the meanings of the hymns. He devoted a lifetime to these studies. From “Max Mueller” he became known as “Mokshamula.” The tragedy of the present situation in India is that Bharatiyas do not esteem the Vedas as highly as the foreigners. Destitution in India has grown with the decline of respect for the Vedas, which had been the fountain-source of its prosperity. The Brahmanas as a class must be held responsible for the decline of the Vedas. If they had cared to protect the Vedas in the proper way, the nation would not have fallen on evil days. At least now, they should open their eyes and try to promote the study of the Vedas on proper lines. In the Sai Educational Institutions students from the primary classes to the Ph.D. level are studying Vedas. Students are being given the encouragement they deserve. It is because students in most of the other educational institutions are allowed to go astray that the nation is plunged in confusion and chaos. People tend to speak in one way and act differently. It is this dichotomy that has resulted in the public disregard for the Vedas. If those in responsible positions do not live up to their words, how can the people have faith in them? Embodiments of Divine Love! Every individual should take a pledge to nourish the Vedas on right lines. The welfare of the nation and the prosperity of the world are dependent on the Vedas. Within another ten or twenty year, even the few who possess the Vedic knowledge may not remain. Hence there is urgent need to take concerted measures to provide the resources and the encouragement for the propagation of the Vedic studies. The Vedas are not to be used as a means of earning a livelihood. The Vedas are a means of establishing a link with the Divine. They are not to be used for entertaining the public. Those who have studied the Vedas must dedicate their lives to promote the Vedas. Only then would they be serving the cause of restoring the glory of Bharat’s ancient heritage. Today all the ceremonies prescribed by the Vedas are being given up. Most people are engaged in meaningless superstitions. How many are adhering to the injunctions of the Vedas? People must be prepared to adhere to them even at the cost of their lives. The Vedas must be considered as their life itself. Only those who have this determination and conviction are competent to propagate the Vedas. Be fearless in propagating the Vedas among the people. When you are proclaiming the Truth, why have any fear? Only those who preach falsehood have to be afraid. Is your life in danger? What if life goes? There is nothing nobler than giving up one’s life in defence of the Vedas. It is in such a spirit of dauntless determination that you should undertake revival of Vedic knowledge. You must practise what you profess and then impart the knowledge to others. -Bhagwan Sri Sathya Saibaba, Discourse at Poornachandra Auditorium,Prashanthi Nilayam on 28-9-1987. Hope you enjoyed this post. Please subscribe to the blog to receive email notification of new blog posts. Please feel free to post your comments on the facebook page associated with the blog. Om Sri Sairam. 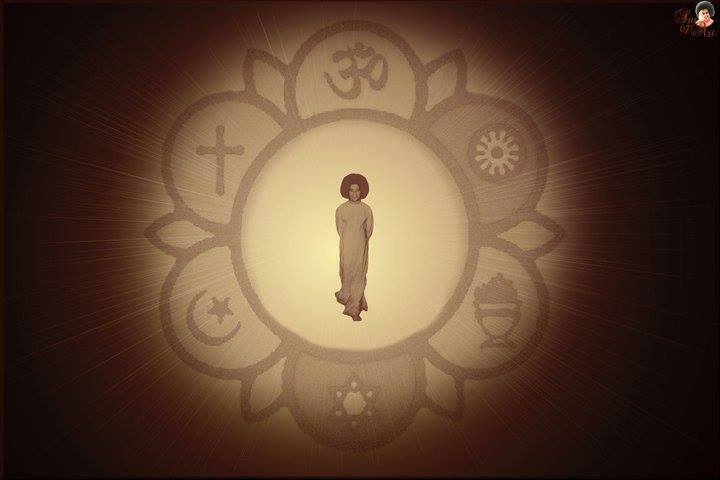 Sri Sathya Sai Vrinda, created under the auspices of Bhagawan Sri Sathya Sai Baba, is an amalgamation of several complementary Vrindas or groups, to bring together like minded individuals who wish to engage in selfless service. The five Vrindas – Yuva Vrinda, Seva Vrinda, Vishwa Vrinda, Veda Vrinda and Vaidya Vrinda are conceived for members from all communities and age-groups to actively participate in service activities wherever they may be located. Yuva Vrinda comprises of volunteers residing in India under the age of 35 years, while those above 35 are to be part of Seva Vrinda. Like the name suggests, Veda Vrinda promotes and encourages the chanting of Vedas around the globe irrespective of religion, country or gender and helps people comprehend the underlying broader interpretation of the Vedic mantras. 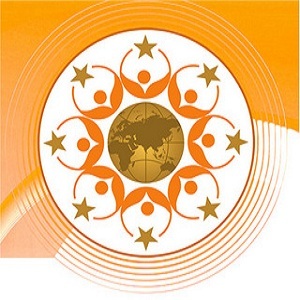 Vishwa Vrinda is the umbrella under which volunteers from overseas undertake service activities to benefit the society. And Vaidya Vrinda is a platform for all healthcare professionals to come together to serve the needy who cannot afford the escalating healthcare costs. The purpose of this website is to act as an enabler of service, pointing those that wish to participate in service (seva) to the opportunities available in their respective groups. One can even be part of upcoming events at Muddenahalli by signing up as a volunteer. 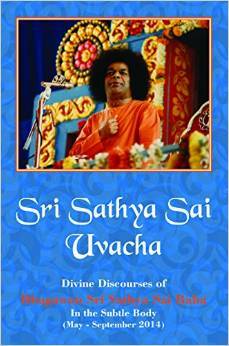 Also chronicled on this site are experiences of devotees of Bhagawan who have been inspired by Him in various ways. Regular updates about the happenings at Muddenahalli will be featured here as well. This website (SRI SATHYA SAI VRINDA) has been in built in accordance with guidance from Bhagawan Baba and will always be a resource for inspiration as directed by Him. Together, all together, we shall steadily grow. Fortune and friendship, full vigour and virtue. We shall brighten, and brighten, till it enlightens all. The fortune we have earned, the vision and thrill. Till we raise its praise into worshipful deeds. OM, OM, OM, OM–we shall together sing. You have in you both the talent and the desire to uplift your fellow men. This country needs your service urgently today. God welcomed the urge to manifest the Cosmos. 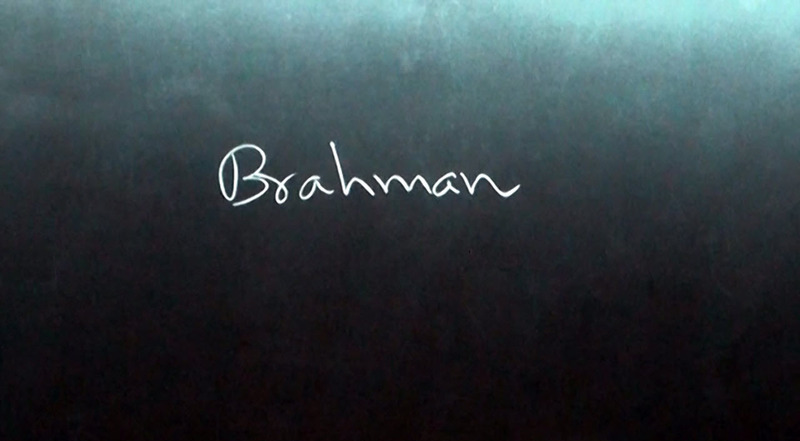 Ekoham Bahusyaam (I am One; I shall become Many), He said to Himself. You must also feel the need to blossom and expand. Derive Ananda in the process, ‘possess it and share it, in order to increase it. The Upanishads proclaim the message of courage, of strength. Give up the idea that you are weak and helpless. ‘Na Ayam Atma balaheenena labhyah’ (The Atma cannot be gained by the weak). Believe that you have in you the strength and skill you need. Those who can sing Bhajans (spiritual chorus) can, as a beginning, lead villagers in Nagara Sankirtan (street singing of spirituals) and teach them to sing in groups. Those who can speak on spiritual topics can gather the people, when they have returned from the fields, and explain to them, in simple language the mystery of God, Nature and Man. Persuade them to give up habits that undermine their health and peace. Promote in them the qualities of mutual aid, truthfulness and non-violence. Today, every one wears a wrist watch; the watches are of many varieties of shape, size and cost; the straps too are of different materials and monetary value. They tell us the time; they also serve as a decoration and an ornament. When they first came into the village of Puttaparthi, they created commotion and wonder. I was then nine years old. I wrote a limerick on the wearers of the strange contraption and on the leather strip round the wrists. Now, the watch has become a part of every wrist. Only, the wearer has not learnt the message of the watch, its potential to arouse the latent divinity in man. 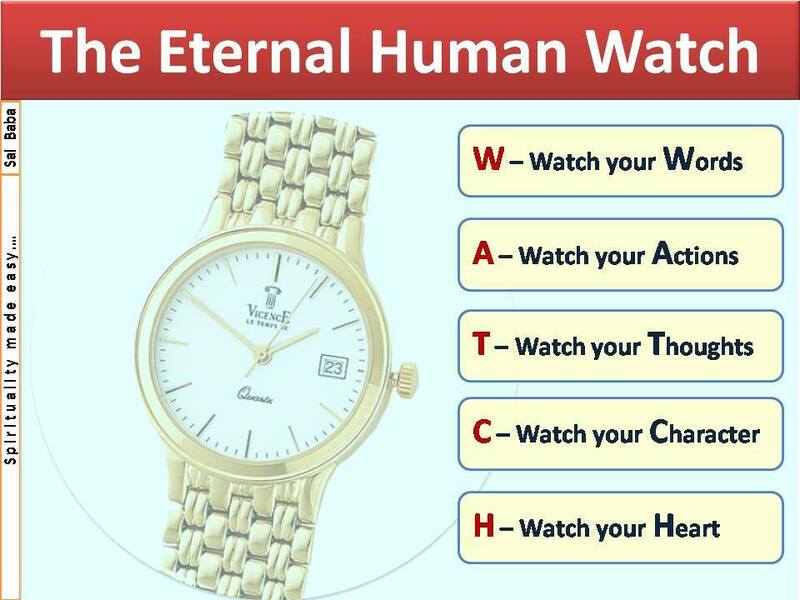 The name, WATCH, has five letters! The mantra that leads the sadhaka to God (Shiva) – Namah-Shiva-ya has five syllables. WATCH is as much a pancha – akshari (five-lettered) mantra as Namah Sivaya, and, If meditated upon, is as meaningful and momentous. W Stands for Word: The first letter reminds us of the sadhana (spiritual practice) of watching the Word. One should not revel in idle gossip, or spreading slander and scandal and wound others and pollute oneself. Examine the word before the tongue pronounces it; Is it true, will it hurt, is it necessary? Warn the tongue against relishing falsehood, or indulging in outbursts of vilification and the like. Adhere to Truth, at all costs; It is the basic human value. A Stands For Action: The second letter reminds us of the additional sadhana of watching, Action. Be vigilant that every activity conduces to your moral progress, to the welfare of society, that is to say, follows the moral code, dharma. Dharma also means innate nature. Fire must spread warmth and light and also burn. These are its dharma. Without them, it is but coal. Sugar without the sweet taste is but paltry powder. A rose without fragrance might as well be a plastic substitute. Man’s dharma is to love and serve fellowmen, practising truth without causing injury to others. ‘A’ teaches us to manifest dharma in every action of ours. Dharma is another great human value. T Stands for Thoughts: The third letter ‘T’ indicates an additional sadhana, a third one watching our Thoughts. While adhering to the earlier two, one trains the mind not to react vehemently or vengefully when one is blamed or extolled. Why should one worry if the blame has no basis? Thoughts must reinforce the innate peace and tranquillity which are one’s heritage. They should not create anxiety or anger, arrogance or envy, which are alien to the Divine Core of human beings. Thoughts, when watched and warned, promote shanthi, (peace) another precious human value. Shanthi is the jewel won by the sages. It resides in hearts free from pride and, greed. C Stands for Character: The fourth letter of the Panchakshari teaches one to watch the Character. Character is three- quarters of life. The sadhaka (spiritual aspirant) has to direct himself to the acquisition of the three values already mentioned, through steady vigilance. Man is the very embodiment of Love; His character finds expression through character saturated with Love. A life without Love is really living death. Every thought, word and deed must emanate from Love. Love must bind the community as one; It must strengthen the feeling of brotherhood and satisfy the craving for expansion. Love must reach out to all mankind and to God. When such a steady selfless character is absent in man, he is a lampless home, a barren cow, a runaway kite drifting helplessly down, a counterfeit coin. Is he observing Truth? Is he virtuous? Has he serenity? Does love motivate him for every action? These are the tests. H Stands for Heart: The fifth letter ‘H’ instructs us to watch the Heart and the feelings it originates. It reminds us of the human value of ahimsa (Nonviolence). Heart does not mean the fist-size physical equipment we have to purify and pump blood. It is the centre of emotions, good and bad. It has to be watched, so that good emotions alone are manifested. It must expand to include all living beings to feel kinship with all creation. “My reality is the reality of all” – this truth must be ever springing forth. Then, the idea of violence can never find place in the heart. The sense of unity cannot produce competition and confrontation. The fifth human value Ahimsa – is promoted by the sadhana indicated by the letter H.
For want of these five human values, mankind is in the throes of distress and disaster. The morning newspaper is full of murder, massacre, arson and dacoit activities. The brain and the mind have been polluted to a dangerous extent. Education aims only at providing information and promoting skills. It has not tackled the problem of moral degeneration, of the sublimation of low desires, of sense control and the development of spiritual insight. Man is converting himself into a brute with a human form. Vali, the monkey, is said to have argued that Rama wounded it with his mortal arrow, in spite of the fact that the sin it had committed was pardonable and even proper among monkeys. But Rama replied that Vali was only a monkey in appearance; it knew both right and wrong, and so deserved punishment. Man, today, is a beast in human garb. When he develops and demonstrates human values, he would have to discard’ the beast in him and become man, the pilgrim to God. Contemplation on the watch is the best means for achieving this end. The watch will teach sathyam (Truth). It warns against evil, and alerts you to be good, Sivam. It is worn as a jewel so it is Sundaram, too, besides being a teacher and reminder of human values. The watch is the symbol of Time. We are powerless before time but time’s Creator and Director can be won and attained by the wise use of time. Instructing others on this inner meaning of the Watch and the Panchakshari Mantra derivable from the five letters WATCH are not enough to fulfill your duty. The watch advises you to watch yourself whether you have the credentials to teach. A hundred eyes will be watching every word and deed of yours to discover whether you have mastered the human values and whether you are practising them. Most important of all, God, the Universal Watcher, is witnessing and weighing your every thought, word and deed. The God in you examines and judges and you are able to acquire self-satisfaction through sincerity and serenity. Prove your humanity by the practice of the values which are the unique qualities of man. NM: I would like to share with you some of the instructions Swami gave me in my dream in Brahmi Muhoortam on last Sunday, July, 10, 2011. First Swami extends welcome to students and staff of Sathya Sai Institute of Higher Learning, Muddenahalli Campus and other dignitaries. He gave me many instructions; some of them are very personal. I will share with you the ones that are relevant not only to you but to all the devotees around the world. When Shirdi Baba arrived with a wedding party along with Chandhubhai to Shirdi for the first time, Mhalaspathi saw the fakir getting down from a cart and went to him and said: “Aayiye, Baba! Aayiye Sai!” (Come, Baba! Come Sai!) The name “Sai” was given by Mhalaspathi. Till then, no one had conferred a name on him. 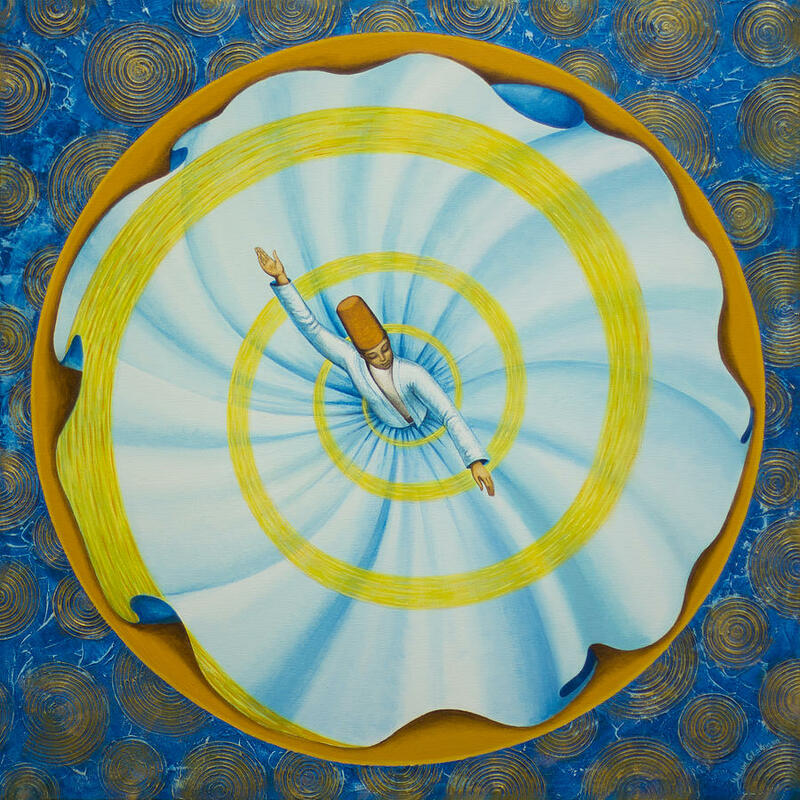 “Sai” name could have its origin in Persian Language, coming from the Sufi tradition. The term Baba is an endearing term, common in the north and used for accosting an elderly person, father or a Guru. The term, Sai Baba became familiar perhaps only during the days of Shirdi Sai Baba. Sathya Sai Baba gives the true meaning of Sai as mother and Baba as Father and Sai Baba meaning the universal mother and father combined in one. Once Shirdi Sai Baba was summoned to testify before a Magistrate’s court when a thief said that the stolen goods were given to him by Sai Baba. Many devotees felt that it was not proper to ask Sai Baba to appear in person to give the testimony in the court in Dhulia. The court agreed to their request and sent a first class magistrate to record the testimony of Shirdi Sai baba in Shirdi itself. Commissioner : Your father’s name? Commissioner : Your Guru’s name? Commissioner : Do you know the accused? Commissioner : The accused says that he is your devotee and he knows you. Sai Baba : I am with all and all are mine. Commissioner : Did you give those articles to the accused? Commissioner : What kind of right do you have over the articles given to him? Sai Baba : Everything in this world is mine. There is nothing which does not belong to me. The court later found that accused has never visited the village and all his claims of receiving stolen goods from Shirdi Sai Baba were false. It is interesting to reflect on some the answers Shirdi Sai Baba gave to the routine questions asked by the Court Commissioner. 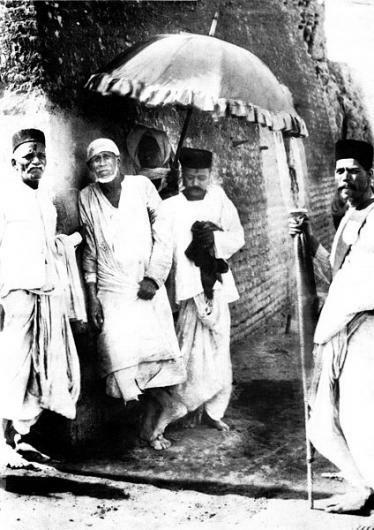 Shirdi Sai claimed his age as millions of years and his religion as Kabir Panth. Kabir means ‘the great’ and it is the 37th name of Allah in Islam. 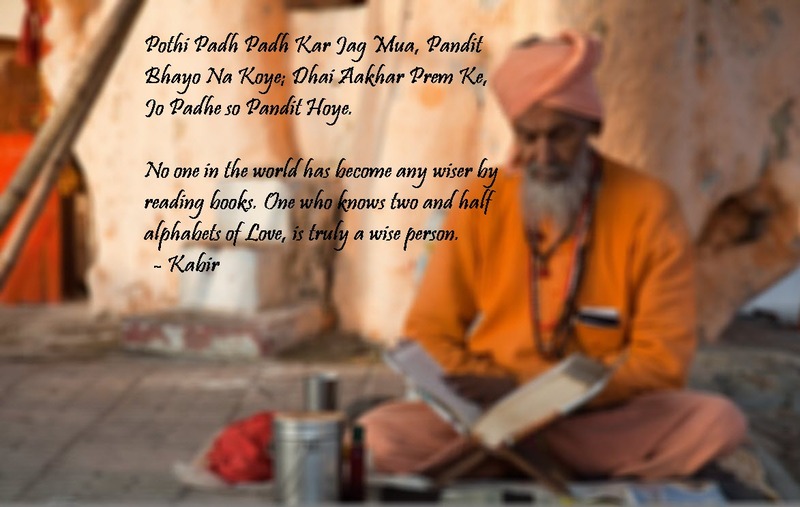 Kabir (c.1440 – c.1518) was a mystical poet and a Saint who sang about God and spirituality in simple to understand poems called as Doha’s (couplets). He eschewed any orthodox definition of God and was quick to condemn both Hindus and Muslims for not understanding their own holy scriptures. While many historians are not sure about Kabir’s origins, it is widely believed that he was born in a Hindu family; however adopted and raised by a Muslim childless couple, Niru and Nima who were weavers by trade. A controversy arose among the local people as to whether Baba was a Muslim or a Hindu. At one time he used to say: “Allah Malik! Allah Malik!” At other times, he would say “Dattatreya Malik”! Whenever he shouted “Allah Malik!” Muslims used to come to him in the masjid. His appearance was very much like that of a Muslim. Hence, many Muslims used to come to him. Hindus also used to come and offer incense to him. The Muslims did not approve of what the Hindus were doing. The Hindus did not like the way Muslims revered Baba. Consequently, bitterness developed between the two communities. One day, Mhalaspathi was sitting near Baba and doing some service to him. Mhalaspathi was the priest in the Khandoba temple. The Muslims, who were opposed to the presence of a Hindu priest near Baba, came with sticks and beat up Mhalaspathi. At every stroke, Mhalaspathi cried out: “Baba!” “Baba!” Each time he shouted the name of Baba, the blow was borne by Baba. Mhalaspathi fell to the ground. Baba came out. Muslims had great reverence for Baba. Baba roared at the Muslim crowd; “Saithan! On the one side you worship me and on the other you beat me. Is this your devotion?” Baba was bleeding all over the body. The Muslims saw it and asked Baba who had beaten him. “Did you not beat me? Did you not beat me?” said Baba pointing to several men in the crowd. They said: “We did not come near you at all. We only beat Mhalaspathi.” “Who is in Mhalaspathi? I am in him,” declared Baba. “He has surrendered to me and hence all his troubles are mine.” Baba teaches a lesson to all On hearing this, the Muslims fell at Baba’s feet and craved his forgiveness. Baba then summoned the Hindus and Muslims and told them: “Dear Children, you are all the progeny of one mother.” Thereby Baba demonstrated the Fatherhood of God and the Brotherhood of Man. He wanted all differences of caste and creed to be eschewed. What mattered for mankind was the heart. One who is only concerned about his matham (creed) will never discover the Divine (Madhava). You must seek the Divine within you. Baba pointed out that all caste and creed distinctions related only to the body. Therefore, you should seek the Supreme in your inner consciousness. 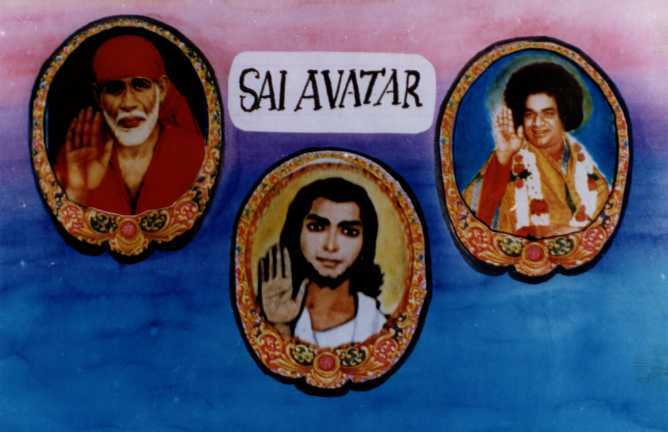 At an exclusive session in July 1984, Swami had underlined the three-in-one phenomenon of the Sai Baba Trinity. All three have the same Sayeeshwara trinity. All the three have the same Sayeeshwara Divinity. The first-born Shirdi Sai is symbolic of Shiva, the second in line, Sathya Sai is Shiva and Shakti aspects combined and the third Prema Sai would represent the Shakti Element. The three are born in remote villages having the same name and also at the confluence of rivulets. Shirdi Sai Baba was born at Pathri in Aurangabad district, at the confluence of a tributary to the river Godavari in Maharashtra. Sathya Sai was born at Puttaparthi, at the confluence of Chitravathi and once-existing Kushavati river in Andhra. And Prema Sai will be born in Gunaparthi of Karnataka on the banks of Tungabhadra river. I have come to light the lamp of love in your hearts, to see that it shines day by day with added luster. I have come to tell you of this universal, unitary faith, this spiritual principle, this path of love, this duty of love, this obligation to love. Every religion teaches man to fill his being with the glory of God and to evict the pettiness of conceit. It trains him in the methods of unattachment and discernment, so that he may aim high and attain spiritual liberation. Believe that all hearts are motivated by the one and only God; that all faiths glorify the one and only God; that all names in all languages and all forms man can conceive denote the one and only God. His adoration is best done by means of love. Cultivate that attitude of oneness between men of all creeds and all countries. That is the message of love I bring. That is the message I wish you to take to heart. I have come not to disturb or destroy any faith, but to confirm each in his own faith – so that Christian becomes a better Christian, the Muslim, a better Muslim, and the Hindu, a better Hindu. Let the different faiths exist, let them flourish, and let the glory of God be sung in all the languages and a variety of tunes. That should be the ideal. Respect the differences between the faiths and recognize them as valid as long as they do not extinguish the flame of unity. Whom the Muslims adore as Allah, Whom the Christians adore as Jehovah, Whom the Vaishnavas adore as Vishnu, Whom the Saivites adore as Sambhu, Who grants in answer to their several prayers, health, prosperity and happiness to all, wherever they may be, He, the One God, is the God of all mankind. God is One and only One. Have His thought in your minds. Religions are many, but God is one; Jewels are many, but Gold is one; Appearances are many, but Reality is One; Cows may be of different breeds or colors or sizes, but milk they yield is the same, the world over. So too, all religions, what ever their origin or extent of influence, are means to teach man this process. God is love, God is truth, God is peace. God is bliss. 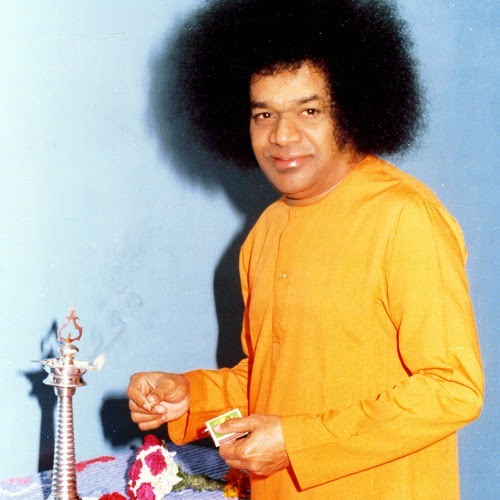 Bhagawan Sri Sathya Sai Baba in His subtle form has broken free from all preconceived concepts of Desha (place), Kaala (time) and Paristhiti (circumstances). God does not belong to one place, one community or one sect, He belongs to the whole universe. He is one but seen as many, the scriptures describe this as “Ekam Sat Vipra Bahuda Vadanthi”. Devoid of all names and forms He is, Yet all names and forms are His. God is formless and attributeless, but He also assumes a form with attributes. There is sakara (with form) in nirakara (formless) and nirakara in sakara. Likewise, there is saguna (attributes) in nirguna (attributeless) and vice versa. A block of ice has a form, but it is not different from water. There can be no ice without water. When drops of water freeze, they form ice. The difference between sakara and nirakara is the same as the difference between ice and water. If a Muslim wanted to study the Hindu scriptures, Swami would say, “First know your own religion well and deeply. All that is there in other religions is there in yours too”. We know of great Hindu saints, Muslim pirs and religious heads, Buddhist monks from Thailand, Tibet and other parts of the world, Devout Catholics, Protestants, Jewish Rabbis and revered heads of other religions who have to come to Swami and have been astounded on how much He knew about their religion. These religious heads who were dedicated to the serious study of their faiths for decades, would often be corrected on their interpretation of their Holy texts by Swami Himself. Please read Sai baba and the Muslim Mind by Prof. Zeba Bashiruddin (http://scriptures.ru/sb_mm.htm) to gain insights into universality of Sai Teachings. Before Darshan was meditation. Now Meditation is my darshan. Develop ‘Ishq’ and ‘Mohabbat’ in your heart and feel me in your heart. Many years ago around 800 A.D., the knowledge portion (Jnana Kanda) of Vedas was relegated to oblivion and ritualistic portion (Karma Kanda) became predominant with various rites being performed solely for seeking wealth and progeny. This was the time when Adi Shankara appeared on the scene to revive the sanctity and the glory of the Vedas and its timeless message to the humanity. 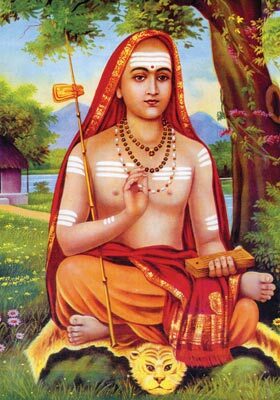 In a brief lifespan of 32 years, Adi Shankara toured the length and breadth of India, engaging in spiritual discussions with many Pundits (Scholars), who propagated their own sectarian ideas; denying the existence of God. Adi Shankara, vanquished them all by boldly and fearlessly asserting the philosophy of ‘Advaita Vedanta’ with Brahman as the supreme, impersonal God. Adi Shankara explained the theory of oneness of all creation, the Brahman in three terse statements: “Brahman Satyam, Jagat Mithya, Jivo Brahmaiva Na Parah” meaning “God alone is real, The world in unreal, the individual is none other than God”. The awareness of Brahmam cannot be won by the accumulation of wealth or even by the giving away of riches. Nor can it be achieved by reading texts, or rising to power, or acquisition of degrees and diplomas or by the performance of scriptural sacrifices and rituals. Brahmam cannot be comprehended by means of proofs or arguments. It is beyond reason and calculation. So, it is A-prameya. It cannot be measured. It is indefinable. It cannot be pronounced as being such or so, for this reason or that. It is immeasurable by time and space, the scriptures are the proof. The usual proofs for truth are direct perception (Pratyaksha) and inferential perception (Anumaana). But Brahmam cannot be cognised by these two means. The sages have experienced it and expressed it in the scriptures. That word (Sabda) is the firmest proof. ‘Saastra’ means that which brings to memory what has been forgotten. Brahmam is the very self-ness of every man. The Saastras (Directives of Counselors) direct and counsel every one. But man yields to delusion and becomes one with the darkness caused by false values and attachment to the unreal, the ‘me’ and ‘mine’. But, scripture is the mother; she does not give up. She persists and pursues; she reminds man of the goal in order to ensure that he is saved. “Sraddhaavaan labhathe jnaanam“. That person alone who has sraddha can secure jnana. And Sraddha means steady faith in the statements laid down in scriptual texts (Sastras). Although Brahman is beyond description, the “rishis” (seers or sages) of yore declared, based on their personal experience, that it can best be described as sat-chit-ananda. Sat means existence or being, pure and absolute. Chit means knowledge, or consciousness, pure and absolute. Ananda means bliss, pure and absolute. Our true nature is pure existence, knowledge and bliss. We have this knowledge deep within us and therefore we cannot settle for being mortal or experience any type of limitation to our existence, we have an infinite thirst for knowledge and constant yearning to experience joy. This famous story is actually a dialogue between father and son from Chandogya Upanishad. This story is depicted in one of the exhibits of Sanatana Samskruti Museum, located on the hilltop near administrative block in Puttaparthi. This story illustrates the nature of the brahman, knowing which everything becomes known. The Sun is up there in the sky; it is the passing cloud that hides it from your vision. The sensory world is the cloud that hides the Aathma, ever shining in the firmament of your heart. The same mind that gathers the clouds can also disperse them in an instant; for it is as the wind which collects them from all the quarters and renders the sky dark; and the next moment, changing direction, sends them in a scurry to wherever they came from! Train the mind to disperse the clouds, not to gather them. Every aspirant has to do this by following a systematic discipline.